Season 2 of the Nisekoi anime will be airing in less than a month, but not every detail has been released just yet. In their latest announcement, anime music singer LiSA will be performing the opening theme to Nisekoi, titled “RallyGoRound” with LiSA announcing the news on her Twitter account. For many fans, this announcement will be very well-received. LiSA has had a long history of performing music for anime, most notably as the singer for Yui, a character from Angel Beats, who was a part of a school band named Girls Dead Monster. Her power pop style and flashy flair have won many people over, especially in her delivery on “Oath Sign”, Fate/Zero‘s opening theme, and “Crossing Field”, the opening theme to Sword Art Online. In addition to all those singles, she has also shown up at conventions like Anime Expo where LiSA performed live in concert. Her musical delivery tends along the brash and bold side, making her a great spectacle on stage, but she isn’t quite as solid on nuance. Nevertheless, her fanbase remains huge and should be pleased to hear her perform her 8th single. 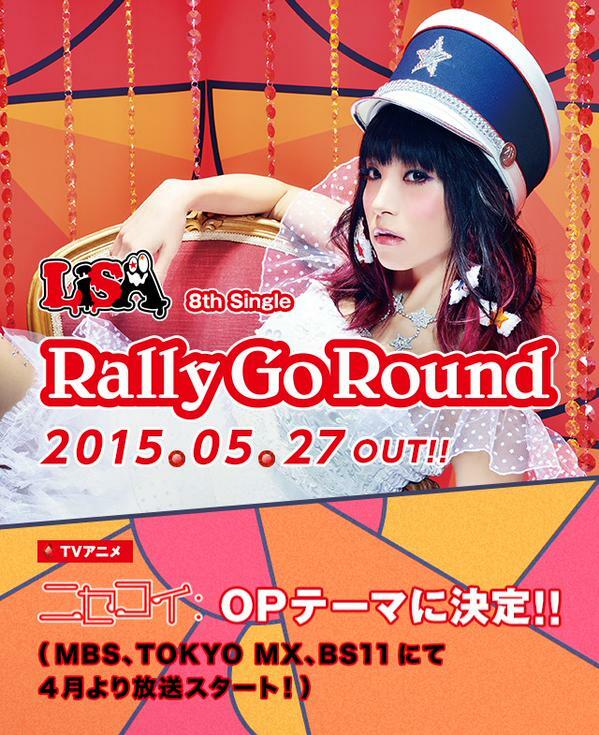 Those looking forward to getting LiSA’s latest single will have to wait until May 27 for a CD release of “RallyGoRound”. Until then, they can catch Nisekoi season 2 when it airs on April 10.